Seniors living with dementia often get lonely. At most nursing facilities, families can’t visit every day, and there simply aren’t enough staff members to be with the patient at all times. 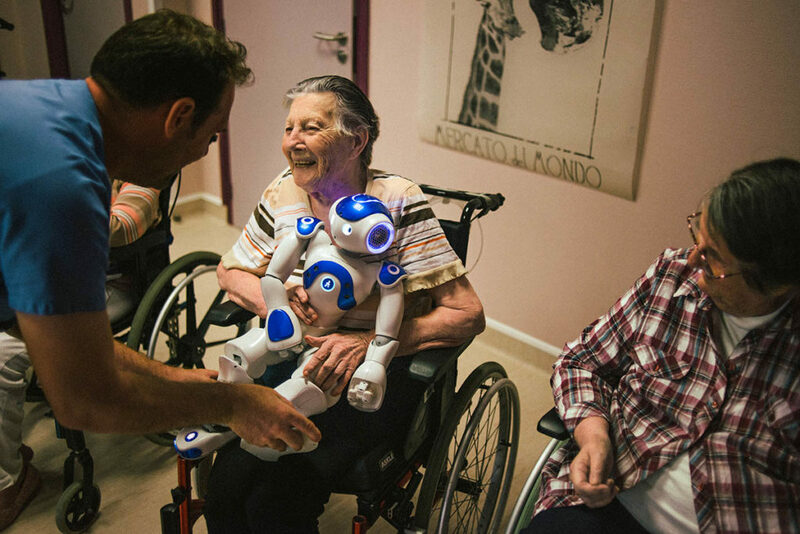 One nursing home in France is using robots to help provide companionship and stimulation for dementia patients. The robot’s name is Zora and she’s from the Belgium-based Zora Bots. So far the robot has been a popular companion at the Jouarre nursing facility. Many patients have already bonded with Zora seeing her as not just a robot but as a friend and a new member of the family. Beyond being a companion, Zora can play games, have conversations, stream music, lead exercises or even just cuddle. Most importantly, it helps to keep the patients motivated and engaged. 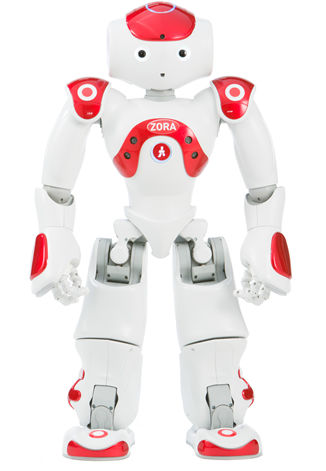 The two foot tall Zora is equipped with microphones and speakers that can listen and speak to the patient in multiple languages. The robot comes pre-installed with English, Arabic, Chinese, Dutch, Finnish, French, German and Italian. Other languages can also be added if needed. Sensors and two hi-resolution cameras help the robot navigate the environment. Zora can also stream and record video to help nurses monitor patients. Zora can be controlled remotely via laptop or tablet. Nurses at the facility often operate the robot out of view so patients can’t tell that there is someone at the controls. They can also type specific words for Zora to speak. The robot cost about $18,000. While this upfront cost may seem high, it is still much cheaper than adding on more employees. Zora can also work around-the-clock if needed on minimal charge. 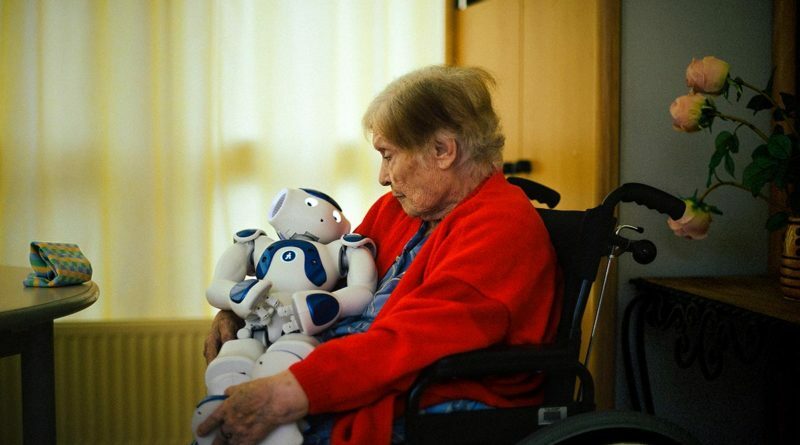 The company has already sold over 1000 robots to health care facilities in the US, Europe, Asia, and the Middle East. While robots will never be able to replace the human touch in patient care, they can help fill the gap in keeping patients occupied, stimulated, and monitored while at the same time reducing cost. Some may be uneasy with robots like Zora filling more jobs in healthcare, but they may soon become a necessity. According to the United Nations, the number of people over 60 will more than double to 2.1 billion by 2050. There simply won’t be enough workers to fill healthcare jobs. Technology will be forced to play a major role in caring for aging populations. Check out our articles on robots working in hospitals and ones working in hotels.